I reviewed Incarceron awhile ago. While my feelings on that book were kind of mixed, I’m really looking forward to the sequel. If you haven’t read the first book, the summary below contains some spoilers. 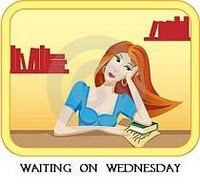 This entry was posted in Other and tagged catherine fisher, sapphique, waiting on wednesday. Bookmark the permalink. It actually felt way more like fantasy to me than futuristic sci-fi (well, Incarceron did, that is), but I have no idea if that atmosphere will continue. I too had mixed emotions over Incarceron. I do have an ARC of Sapphique sitting on my shelf that I hope to get to. The first one left off with quite the cliffhanger! The revelations about a certain character at the end of Incarceron left me hungry for more. I hope Sapphique lives up to my hopes for it. I haven’t read Incarceron, yet. It’s in my TBR pile. 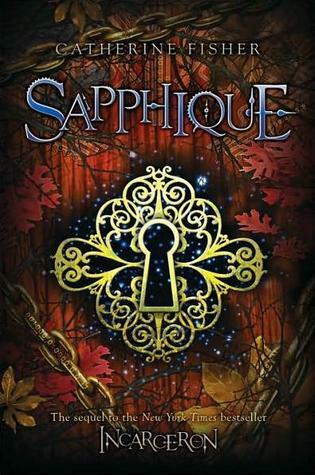 But just love the cover for Sapphique. Here’s my WoW. Congrats on winning NaNoWriMo!! Yeah, I love the covers of both! And thanks, I love doing Nanowrimo, it’s such a wonderful excuse to actually be writing. I LOVED Incarceron! And I am just *dying* to get a copy of Sapphique, the cover is gorgeous 😀 Great pick! I know, the covers are almost my favorite part!